The feature will let users dodge spoilers as well as curate their newsfeeds by blocking unwanted content displayed on daily basis for 30 days. Isn't it very difficult to dodge spoilers on Facebook? This becomes even tougher when you are on social media and people who have watched your favourite show or movie before you drop spoiler bombs all over your timeline. Well, it’s time this stops. Facebook has announced that it has rolled out the Snooze Button feature to a select group of users to test it. The feature allows users to temporarily mute/unfollow a person, group, page or even topics by listing out some keywords. The social media giant announced the feature in December last year and there was no mention of when the company will release it for the masses. The Snooze option can be accessed from the top-right, drop-down menu of a post and will stop displaying updates from that person, page or group for 30 days. Users will be notified before the Snooze period is about to end and the option can be reversed at any time. The feature will also help users clean up their newsfeeds by temporarily blocking the unwanted content. To Snooze a keyword, for example, “Game of Thrones” or “GOT”, you first have to find it. There is a possibility that you might run into a spoiler while searching for it. 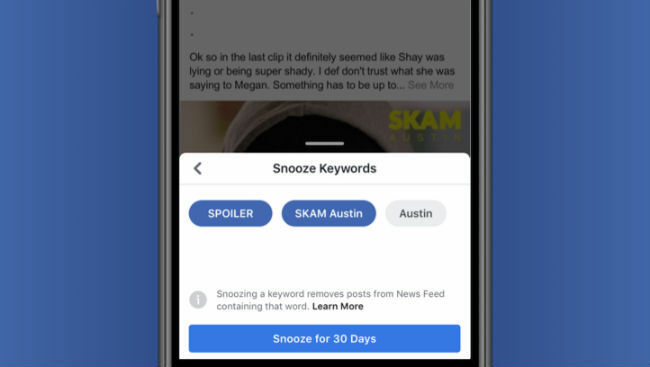 On this, a Facebook spokesperson told Tech Crunch that the company is working to add an option that will help users forestall the spoiler and select the Snooze keywords without running into a spoiler. The company is also considering a recurring Snooze list that will empower users to extend or re-enable hiding posts related to the keywords. If you are the one who has got the update, you can spot a keyword in a post and hit the drop-down arrow on the post. The list should have an option to “snooze keywords in this post.” Tap it and the platform will show you the nouns in the post. You will get a pop menu to snooze the selected keywords for 30 days; tap it and it’s done. What lacks in the feature? Currently, the feature only works on text, not images, and won’t suggest synonyms you might want to snooze as well. So you might snooze all related word to Game of Thrones, but you may come across a photo that spoils the whole episode for you. Apart from that, since the option applies to any organic content, you won’t be able to block ads containing the keywords. Facebook says that since ads belong to “a separate team, separate algorithm,” they can’t really help it. According to the company, snoozing isn’t currently being used for other content and ad targeting purposes. Twitter has a “Mute button” which permanently mutes keywords. Similarly, you can mute posts or and stories from an account on Instagram. 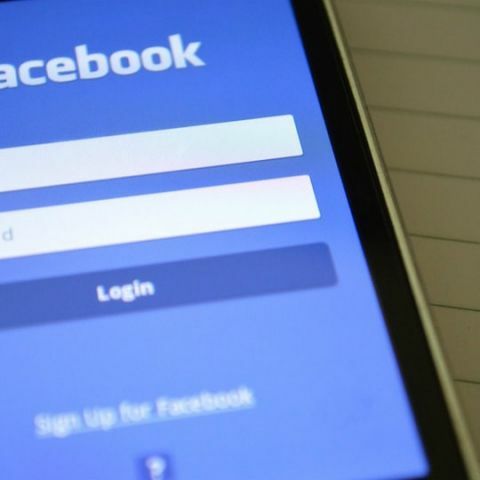 Facebook backed its feature by arguing that if people mute a keyword permanently, they may forget it after sometime because there are no posts related to it on the newsfeed. In this case, they may miss an important development related to the subject. The best solution for this as of now is re-snoozing it. A journalist at heart; has knowledge of a wide gamut of topics related to enterprise and consumer tech. How to select the best webcam for TV? How to setup Automated App Testing for Android Apps? How to Group Chat in Facebook ?